Extremely Cold Weather — A Danger for Elderly Adults! It’s rare, but today, this fourth day of the new year, I saw a weather posting stating that northeast Ohio is under a ‘winter storm watch’…that lasts 4 days. I just don’t see that very often. During this 4-day period, lows could reach -10oF and high temperatures will reach no more than 34oF, and often not higher than 15oF. This, in addition to the forecast that this winter is predicted to be colder than those of recent past, necessitated the need for me to request that we all pay additional attention to senior citizens this time of the year. We should all be particularly vigilant at times like this. Make it a point to check on the seniors you know on a regular basis to assure that they are alright. Remember, seniors often mask their reality; many just do not like to ask for assistance or admit that they are having trouble or that they need help. Furnaces can fail, pipes can burst, all of these can cause a senior to ‘hunker down’ rather than reach out. My parents furnace failed this past November, and all I heard was about how they survived the winters of the great depression with little or no heat. The implication is that they can employ the same tactics they learned in their youth. The key is “in their youth” when they were much more adaptable to extremes. Now as seniors, cold weather and lack of working equipment is a far more complex issue that often ends badly. I had their furnace completely replaced and added an air conditioning unit all within 48-hours. Now with the cold weather in it’s apex, it is extremely difficult to get fast service from an HVAC service person. Keep in mind that those over the age of 65 account for nearly half of all hypothermia deaths. As the body ages, the ability to maintain a normal internal body temperature decreases, creating an insensitivity to moderately cold temperatures. Seniors may not realize they are putting themselves at risk until symptoms appear. Symptoms of hypothermia include: shivering, exhaustion, confusion, fumbling hands, memory loss, slurred speech and drowsiness. If symptoms are present, immediate medical attention is necessary. 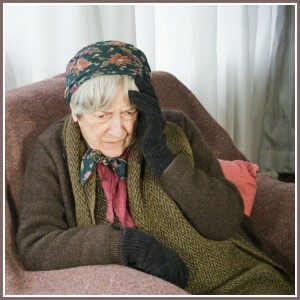 The leading reason for hypothermia in the elderly is due to poorly heated homes, which is entirely preventable. Follow these simple tips to ensure a warm household. • Keep the thermostat at 65 degrees, at least. Consistently check it to make sure your home is sufficiently warm. 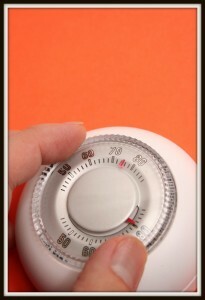 Even as heating costs rise, your safety should be a priority. • Put a carbon monoxide detector near where you sleep. • Ensure that there is adequate insulation, and check and clean the fireplace and furnace. Furnace filters should be replaced monthly. • Be careful with space heaters, kerosene heaters, and gas stoves. This equipment is often used as a ‘Plan B’ if the furnace fails. They can be dangerous if flammable objects come in close proximity. Also, for some seniors, these are their primary heating units. This is a very dangerous practice but we have to face the reality that some of our seniors live with everyday. Moreover, we have to be aware of these realities and provide whatever assistance we can in a timely fashion that avoids disastrous outcomes. If a fireplace is being used, make sure the flue is open and clear. • Minimize drafts by filling old socks with sand and using them in drafty windowsills and door jams. Weather-strip around windows and doors. Keep doors to unused rooms closed and close curtains at night. • Add an extra blanket to the bed and warm the bed in advance with a hot water bottle. Never use an electric blanket – it may be difficult to operate the controls if the temperature needs to be adjusted in the night. • Dress in layers of loose fitting clothing. If you go outside, make sure your head is covered. • Take a couple minutes per day and stretch your limbs in order to loosen muscles. • Stay inside – make arrangements for someone to shovel and salt driveways and walkways. Professional caregivers can assist with to-do items, such as bringing in the mail and/or picking up groceries. • Wear shoes or boots with a non-skid sole. • Have handrails installed on outside walls for frequently used walkways. • If a senior you know uses a cane or walker, check the rubber tips to make sure they are not worn smooth. Try to accompany them when they have to go outdoors in snow and/or icy conditions. • Stay in touch in with family, friends and neighbors. Schedule phone calls, or enlist the help of a professional caregiver to come in with some degree of regularity. Don’t count on a senior to call you; make it a point to call them even if they don’t regularly reciprocate. • Make arrangements for assistance in case of a blizzard or power outage. Keep important numbers in an emergency kit, along with non-perishable foods, water and medications. • Many seniors have landlines. If the power goes out or the phone lines go down due to ice/snow buildup, their landline may not work. Buy and maintain a mobile phone such as a senior friendly JitterBug, to contact your network if the power is out and the landline does not work. This is just a short checklist. I urge you to extend yourself to our elder neighbors and friends during this first calendar quarter of 2014. Let’s make sure they do not become unnecessary victims to the inclement weather of the season. I hope you all have a great 2014. Remember, to extend yourself to help a senior!